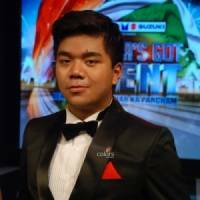 New Delhi, Feb 14 : The northeast, which has over the years produced many talents, has added another feather to its cap through Tonshanbor Singh Nongbet, an opera singer from Meghalaya. The 22-year-old singer, popularly known as Toshan, is a gifted singer and a versatile vocalist who developed his love for music at the tender age of 10. He embarked on his musical journey, without any formal training, after listening to legends like Pavaroti and Placido Domingo. Toshan's aim is to popularize opera in India, especially in the Northeast which is home to many talented musicians. "Basically now, my aim is to see the perfection to sing opera. If I look into perfection then I may get better education and skill about opera and may be I come back and want promote opera more in the northeast," said Tonshanbor. Tonshanbor recently performed in New Delhi at the event "An Evening of Opera and Jazz" organized by the Indian Council for Cultural Relations (ICCR). The audience thoroughly enjoyed popular opera songs like "Nela fantasie", "Somewhere over the rainbow" and "The prayer".
" I was absolutely stunned by his performance because his voice was just amazing. He sings very well and I love listening, it was so perfect," said Marion , a visitor from Meghalaya. "Toshanbor and his band were fantastic. I am proud as an India that there is lots of talented youngster in music," said Vavavd Krishnan, a visitor from Delhi. Eminent pianist Ronojit Chaliha, guitarist Amarnath Hazarika and drummer Samual Shullai shared the stage with Tonshanbor. "There are so many young bands are coming up from northeast but they just need a platform or opportunity to perform. So that they can go beyond the level,' added Amarnath Hazariak, a guitarist. In 2012, Tonchanbor reached the final round of the reality show 'India's Got Talent' Season-4, and was declared the 4th runners up.